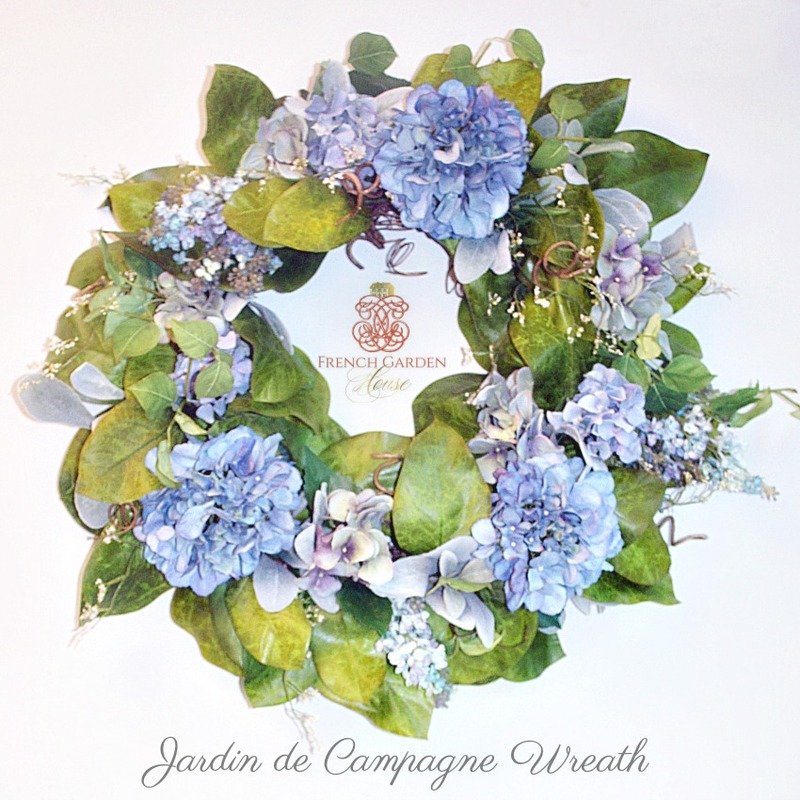 Stunning faux French Provence Country Wreath, one-of-a-kind, sure to delight you and your guests each time you see it! Welcome the season in casual elegant style and hang this wreath on the wall above your buffet, over your mantel, or on a sheltered door. A beautiful designer quality wreath with blue and green hydrangeas, blue lilacs, and velvety soft lamb's ears with petite wildflowers in creamy white. Amazing encircling a large punch bowl, or glass huricane with a spectacular candle as a centerpiece. Will last for several seasons. Only one available.